Thank you so much to all of you who signed up for PURE CHARITY. And if you didn't - there is still time!!! As you shop for the holidays - I hope we will build up our rewards! Remember it takes a couple of weeks to get the rewards in your account and then when you do - you can put the funds in the project of your choice! Here are the BIG WINNERS from the Gift Giveaway!!!! So I have just have a couple of these fun Huggies Baby posts left to post. I know this is two days in a row - but I've got sick kids and it's a slow week. So it's good timing for me! 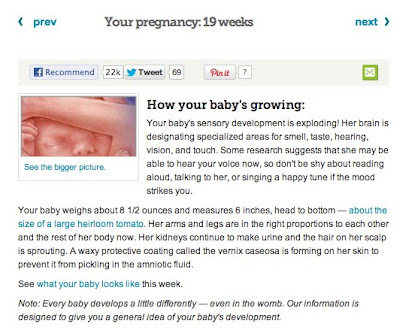 I've been writing on pregnancy and the first year of my baby's life with BlogHer and Huggies. I love Babycenter.com. I used their on-line calculator to figure out when our lives would be changing exactly. And then I immediately began my countdown. It was fun to know exactly when the baby would come (well - roughly). With Harper- I was all over exactly how pregnant I was at all times. I could tell you the week and day at any moment. I have to say with Hollis - it took me a little longer. I was so busy with Harper - I sometimes had to think a little. I loved taking weekly pictures of my belly and watching it grow. I love looking back at those pictures. Every week felt like such an accomplishment. 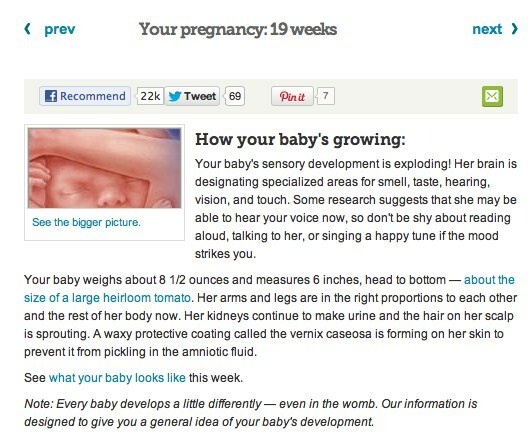 I also loved that Baby Center sent weekly emails that told me what size the baby was and what was developing then. It was nice to have a visual. How accurate was your due date? With Harper - she was born at almost 41 weeks. I had a c-section a week early with Hollis. So I think their due dates were probably about right. They were both big girls so I would hate to think if we went another week or two. I might have earned a world record. I love that you can look up so much on-line these days. You can calculate your due date, you could calculate when you are ovulating, you could even use the chinese gender chart to see if you might be having a boy or girl. ha! (Did you try that? I think it's silly but it was right for both my girls.). Did you use a calculator? How accurate was it?